Osho, formerly known as Bhagwan Shree Rajneesh (1931-1990) was born Rajneesh Chandra Mohan in Kuchwara, a town in central India. One source states that 'Bhagwan' means 'The Blessed One' and that 'Shree' means 'Master.' 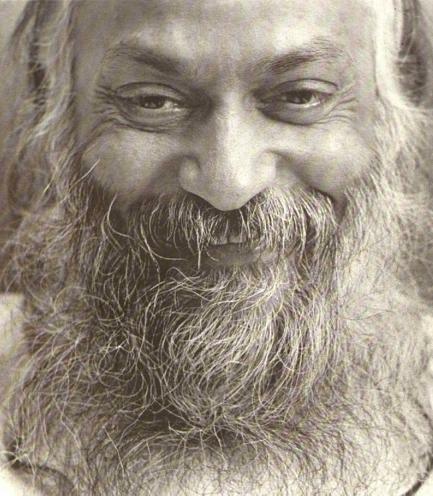 At the end of his life, he changed his name to Osho. His parents' religion was Jainism. However, Osho never subscribed to any religious faith during his lifetime. He received samadhi (enlightenment in which his soul became one with the universe) on March 21, 1953 at the age of 21. 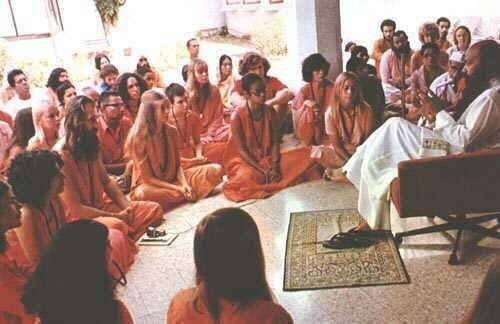 Rajneesh obtained a masters degree in philosophy from the University of Saugar. He taught philosophy at the University of Jabalpur for nine years and concurrently worked as a religious leader. In 1966, he left his teaching post and gave his full attention to teaching his sannyasins (disciples) while pursuing a speaking career. He had an apartment in Bombay where he often met individuals and small groups, where acting as spiritual teacher, guide and friend. Most of his sannyasins came from Europe and India in the early years. In 1974, Osho moved from Bombay southward to Pune, India. Some anti-cult groups have claimed that this decision was made because of local opposition from the public in Bombay. In reality, it was to establish an ashram (place of teaching) which would provide larger and more comfortable facilities for his disciples. The ashram consisted of two adjoining properties covering six acres in an affluent suburb of Pune called Koregaon Park. Some estimate as many as 50,000 Westerners spent time seeking enlightenment there with the guru. In 1979, he saw his movement as the route to the preservation of the human race. He said: 'If we cannot create the 'new man' in the coming 20 years, then humanity has no future. The holocaust of a global suicide can only be avoided if a new kind of man can be created.' He taught a syncretistic spiritual path that combined elements from Hinduism, Jainism, Zen Buddhism, Taoism, Christianity, ancient Greek philosophy, many other religious and philosophic traditions, humanistic psychology, new forms of therapy and meditation, etc. In 1980, he was the victim of a knife attack by a Hindu fundamentalist during his morning discourse. Because of police incompetence, the charges against the terrorist were dropped. Many of the local folks were intolerant of the new group in their midst, because of religious and cultural differences. One manifestation of this intolerance was the town's denial of building permits to the followers of Rajneesh. Some buildings were erected on the ranch without planning board approval. When officials attempted to stop the construction, their office was firebombed by unknown person(s). When the local city council repeatedly refused to issue permits for their businesses, some sannyasins elected themselves to the city council. The town of Antelope was renamed City of Rajneesh. Top aides of Osho were charged with a number of crimes, including the attempted murder of Osho's personal physician. There were stories of a hit list. Some fled the country for Switzerland where they had control over the group's bank accounts. Two were eventually convicted of conspiracy to murder local lawyer Charles Turner in an attempt to prevent closure of the ranch. In 1983, Osho's secretary Sheela Silverman predicted on behalf of Osho that there would be massive destruction on earth, between 1984 and 1999. This would include both natural disasters and man-made catastrophes. Floods larger than any since Noah, extreme earthquakes, very destructive volcano eruptions, nuclear wars etc. would be experienced. Tokyo, New York, San Francisco, Los Angeles, Bombay were all expected to disappear. There is doubt that these predictions actually came from Osho; they are not representative of his other teachings. A number of sources have reported that spiritual devotees of Rajneesh had spread salmonella on a local restaurant's salad bar in order to reduce voter turnout on a measure that would have restricted the group's activities. Allegedly, 751 people were affected by the bacteria. Fearing a raid of the type that later happened in Waco, several of Osho's disciples arranged for him to be flown to Charlotte for safety. In North Carolina, he ran afoul of U.S. immigration law. He allegedly arranged a number of phony marriages between some of his Indian followers and American citizens so that the former could obtain clearance to stay in the country. He was also charged with lying on his immigration papers. He entered an 'Alford Plea,' commonly called a no-contest plea. His lawyers suggested that he do this because of concerns over his health and safety if he had to spend more time in prison. He was given a suspended sentence on condition that he leave the country. He returned to Pune, India in 1987, where his health began to fail. Here, he abandoned the name of Rajneesh and adopted Osho. Osho was derived from the expression 'oceanic experience' by William James. He died in Pune in 1990. Various rumors spread that he had been poisoned with thallium by the C.I.A., had been exposed to damaging doses of radiation by the U.S. authorities, or had heart failure. It is obvious that he did not experience thallium poisoning, because he died with a full beard, and only male-pattern baldness on the top of his head. A person suffering from thallium poisoning suffers a dramatic loss of hair with a week of exposure. His death certificate lists heart failure as the cause of his death. Although most members lived a frugal, simple lifestyle, Rajneesh himself lived in luxury. His collection 27 Rolls Royces, given to him by his followers, was well known. (Some sources say he had as many as 100 cars.) Anti-cult groups claimed that he urged his disciples to sever their connection to their families of origin. It is true that he felt that the institution of the family was out of date and that it should be replaced with alternate forms of community and ways of caring for children. However, he actually encouraged individual disciples to make peace with their families. Many became disciples themselves, including Osho's own parents. He taught a form of Monism, that God was in everything and everyone. There is no division between 'God' and 'not-God.' People, even at their worst, are divine. He recognized Jesus Christ as having attained enlightenment, and believed that he survived his crucifixion and moved to India where he died at the age of 112. Osho was noted for reading very offensive jokes; some were anti-Semitic; others were anti-Roman Catholicism; others insulted just about every ethnic and religious group in the world. He explained that the purpose of these jokes was to shock people and to encourage them to examine their identification with and attachment to their ethnic or religious beliefs. His contention was that national, religious, gender and racial divisions are destructive. Osho repeatedly stated that he would not appoint a successor to replace him after his death. He viewed each disciple as his successor. However, before his death, he appointed an inner circle of 21 individuals to look after the functioning of the meditation resort at Pune and handle administrative affairs relating to his work. They now operate about 20 meditation centers worldwide. Rajneesh's main influence now is through his voluminous writings; they are read by many New Agers as well as followers of Osho. Osho Commune International administers the center in Pune, India. Since it was established it has been expanded from 6 to 32 acres. The group has a Global Connections department that provides information about centers and activities worldwide. Osho International in New York, N.Y., administers the rights to Osho's works. Some of Osho's aides who were imprisoned because of crimes committed in Oregon were released from prison in mid-1998 and deported to England. The Osho International Foundation (O.I.F.) has registered the word 'Osho' in order to promote certain products. The registration is being challenged before the U.S. Trademark Board of Appeals. Those opposing the O.I.F. allegedly claim that the name cannot be a trademark, and that the O.I.F. committed fraud in its application. While this matter is being sorted out in the courts, we are using the registration mark, to avoid prosecution.